My Top 3 Goals for Becoming a Better Investor in 2015! Home / How To Invest / My Top 3 Goals for Becoming a Better Investor in 2015! For a start I like to wish all our readers a very Happy New Year! Thank you for all your support in 2014 and now as we are at the beginning of 2015, I have set myself three goals to become a better investor for the coming year. I am a firm believer of continuous improvement and by setting these goals, they help me maintain my focus on improving my investing skills. As much as I’ve already picked up as an investor over the last 4-5 years, there is still so much I don’t know and have to learn. I commit to finding five new great investment ideas in 2015. By my definition, a great investment idea is either identifying a great company that’s fits our criteria in The Investment Quadrant or a special situation where an investment has got great potential upside with comparatively very little risk. In an upcoming post, I will talk about one kind of special situation – spin-offs (and how they outperform the index). So stay tuned for that! 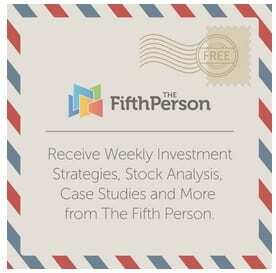 You may have noticed that I’m only looking for just five great investment ideas for the year. The thing is you don’t need a bazillion stocks to make you rich; you just need to focus on a handful of great investments that will multiply your wealth in the years to come. At the same time, in the process of finding five good investment ideas you will definitely have to go through a list of bad investment ideas. When you research and analyze those ‘bad’ companies, you will pick up distinct patterns on why certain companies don’t make for a great investment. The more you do this, the more distinctions you will gain on why some companies are so successful while others fail. 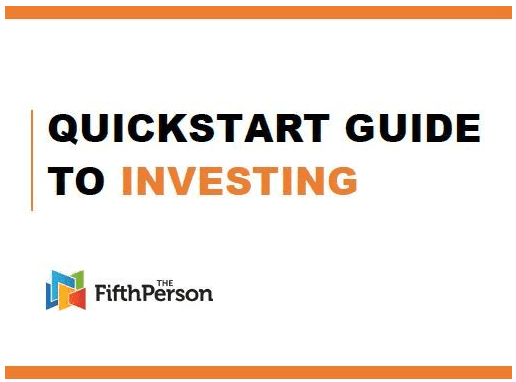 This will sharpen your vision and help you identify what makes a good or bad investment fast. Sometimes a stock might not necessarily be a ‘bad’ company but its stock is just too expensive at the moment. These are great investments — at the right price. So by the end of twelve months, not only would you have improved your investment and analytical skills, by finding five great investment ideas, you will also find many more stocks to place on your growing watchlist. The fastest way to learn about a particular topic is to read books about it. By reading, you are indirectly communicating with the best minds on planet Earth on that subject. Besides attending workshops and seminars from time to time, being a voracious reader of books has truly helped me become a much better investor today. To some people, reading one book a month is a hard thing to do because of time. But if you look at it from another perspective, you will realize that reading one book per month is easy. On average, most books have 300-400 pages. If you set a target to read just fifteen pages a day before bedtime, you will realize that you would have finished 450 pages by the end of the month. That more or less equals to one book! Reading fifteen pages a day probably takes up just 30-45 minutes of your time. Hence, by investing just that amount of your time daily, this will help you to gain more investment wisdom and clarity which in return make you a better investor. There are many more great books that I’ve read, but this will be a good start for anyone. So get going! I view myself as an ‘engineer’ of investing: the returns I receive from my investments is the result of the process I use and have created. For example, the process we developed in The Investment Quadrant helps you identify undervalued companies with strong business fundamentals and great growth prospects that will give you 15-25% returns p.a. on average. It is this process that eliminates the ‘bad’ companies, leaving you with the good ones to invest in — which ultimately gives you your results. If your investment results have always been negative, it reflects the mistakes you’ve been making and tells you that the process you’ve been using requires fine-tuning. These mistakes help you become a better investor because every mistake is a learning opportunity to improve your investment process. Maybe you need to change the way you analyze a company’s financial ratios, or the type of valuation models you apply to different types of companies. Or maybe you missed out on doing critical research on a company’s risks in its business environment. Small shifts or additions in your analyses can bring about new improvements and increase your hit rate of picking great investments. Similarly for myself, I’ve long been a fundamental analyst when it comes to stocks and I’ve gotten great results from my investment process so far. At the same time, I’m now starting to utilize technical analysis as part of my investment process to increase my returns. In combining both fundamental and technical analysis, I still search for fundamentally sound companies at undervalued prices but also look at technical indicators to help decide my entry/exit points. It’s like adding another weapon to my arsenal of investment skills. So these are my top three goals in 2015 to help me become a better investor. What are yours? Feel free to share in the comment section below and as always thanks for being a reader of The Fifth Person! ← Previous Story Happy 2015! How to Achieve Your Goals — and Why New Year Resolutions Don’t Work! Hi Victor, will you share those 5 great ideas with the readers? 🙂 do you provide analysing service? I want to invest my money only. Quite hard to learn myself but I trust you and Rusmin. It’s good that you want to invest, but before you put your hard-earned money in the stock market, it is crucial you learn how to invest. It’s better spending some money to properly learn the skill of investing than losing more money in the markets because you don’t know how to invest! I will share my analyses and ideas from time to time on The Fifth Person. So do continue reading our blog!